BONDI is an electronic live act consisting of Daniel Archut and Alexander Schug. 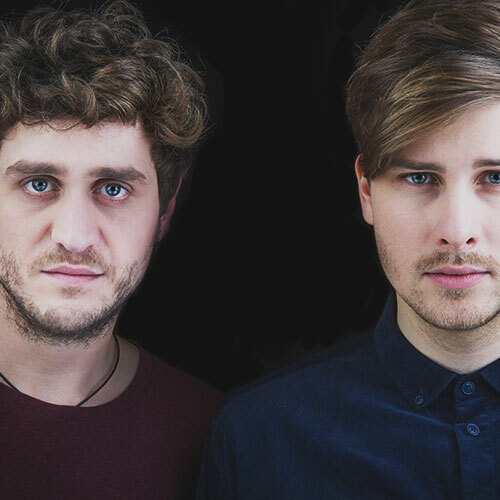 After meeting up for the first time in 2013 they quickly developed their own musical character, defined by danceable deep house beats, mixed with some indie elements and a variety of synth sounds, other instruments and organic material. The different backgrounds of both artists harmonies in their productions but also influence them in the way how they go on stage. With Alex extraordinary voice, the slightly melancholic lyrics, supported by his guitar and driving synth-sound melodies, their pieces remind us a little of the 80ies Dark Wave. After the first bigger releases on WellDone! Music (like „Caught in Between“ or „Those Days“) which also included two remixes by the Brazilians Gabe and Chemical Surf, last year tracks were released on 3000° Records („Lagos“), Einmusika Recordings (Deep Shards) and Bar25 („Red Beard“). In 2o17 releases on the Brazilian label Sublime Music, again 3000° Records, Bar25 Music, Poesie Musik, Einmusika Recordings are following.